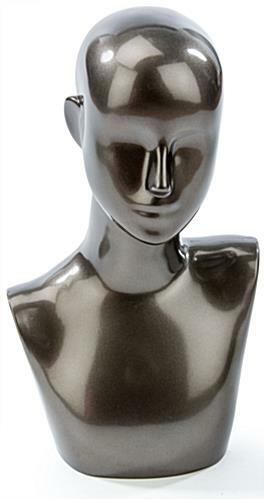 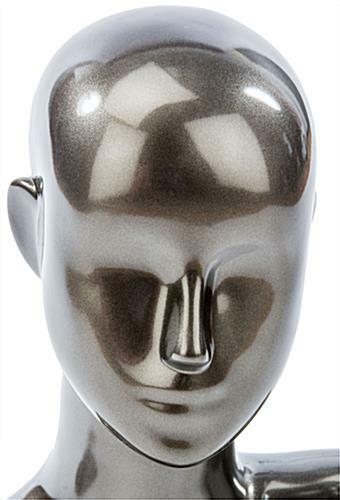 This pewter female mannequin bust is a great countertop dress form for any retail setting, large or small. 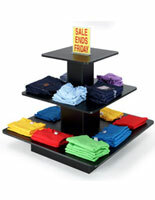 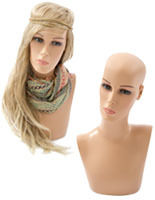 Each store display figure measures 18.75”h which provides ample space to showcase a variety of fashion accessories. 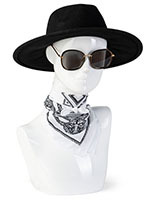 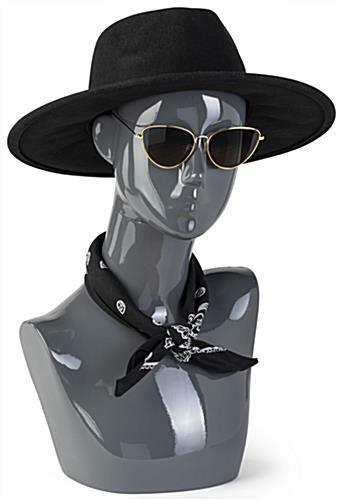 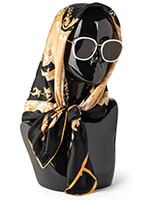 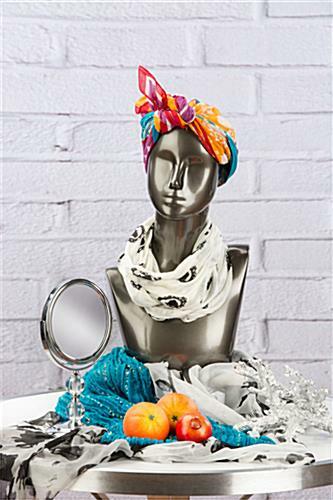 The mannequin bust with abstract facial features is a great fixture for promoting new sales and high trend items such as sunglasses, scarves, hats, wigs and hairpieces! 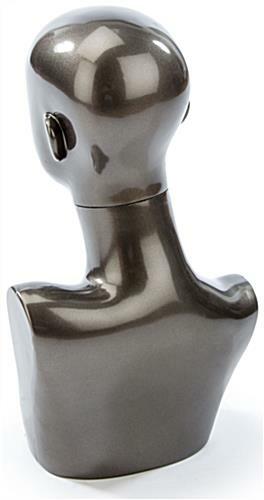 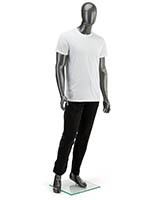 Use the mannequin bust to bring attention to all kinds of store merchandise! 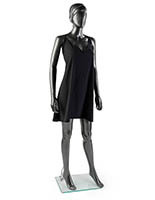 Buy a fashion figure to show off a wide variety of retail items!